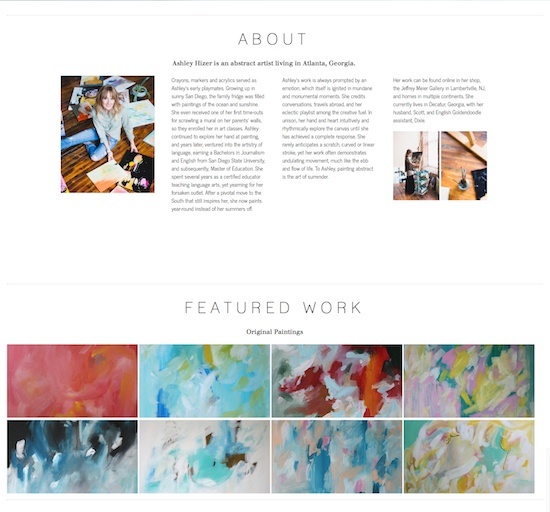 The site for Ashley Hizer a simple, custom build with both a goal and a purpose in mind: to provide Ashley a place to share inspiration and offer her art for sale. Because of it’s flexibility, the Avada Theme was chosen yet again for the project, and it didn’t disappoint. Using the “Always Install” plugins like Gravity Forms, DISQUS Comment System, WordPress SEO, etc. 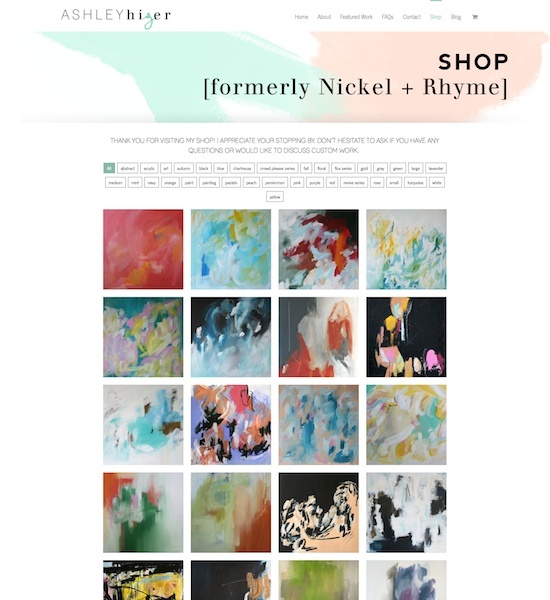 we built the Shop on WooCommerce and the premium USPS Shipping Method extension. 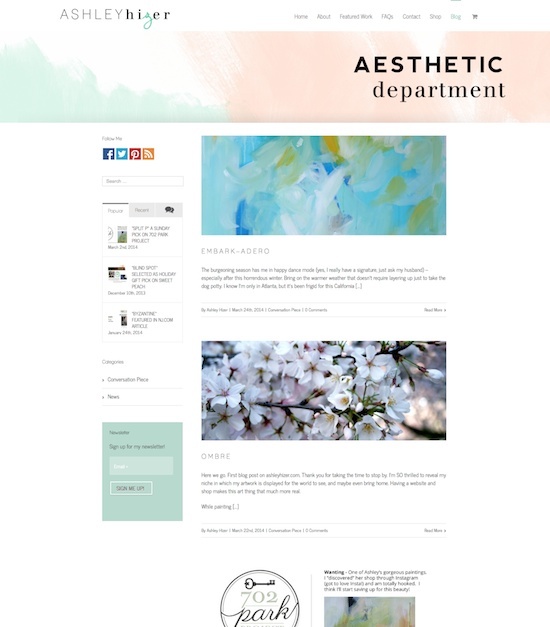 The Shop is displayed on Ashley’s site using the Go – Responsive Portfolio for WP (recommended). 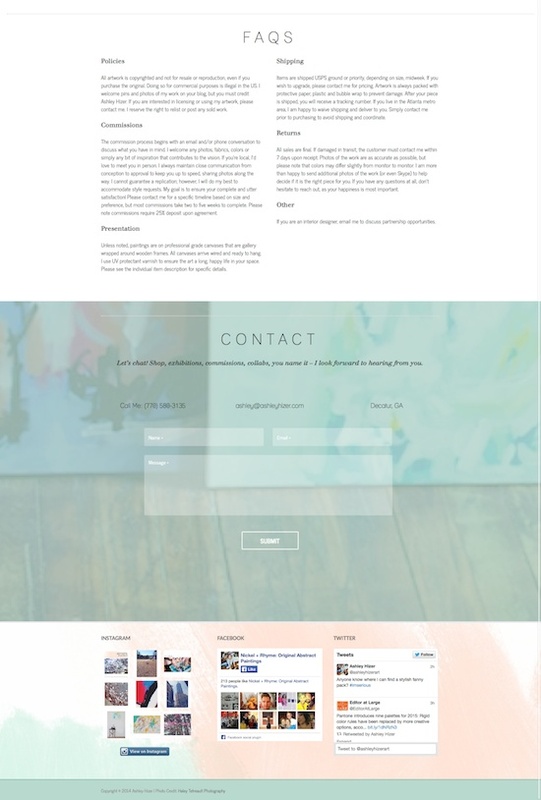 The newsletter is powered by MailChimp using the Gravity Forms addon. Slider Revolution is powering the Homepage slider. Social integration for Instagram utilized the Simply Instagram plugin and the standard Facebook Social Like Box and Twitter Widget bring in those respective networks. Simple Local Avatars and WP Biographia created the Author Box below each post. This project was completed in March of 2014. 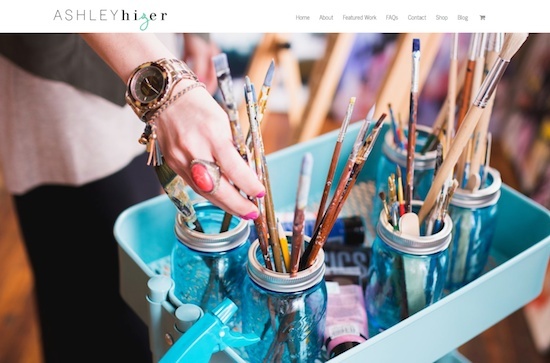 Ashley Hizer is an abstract artist living in Atlanta, Georgia.